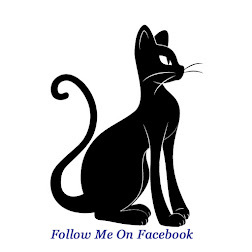 There is a lot of information floating around the internet on essential oils these days. Unfortunately, not all of the information nor suggested uses is regarded as safe by the experts in the field. In this blog post I'd like to discuss some basic safety for children and essential oil use. 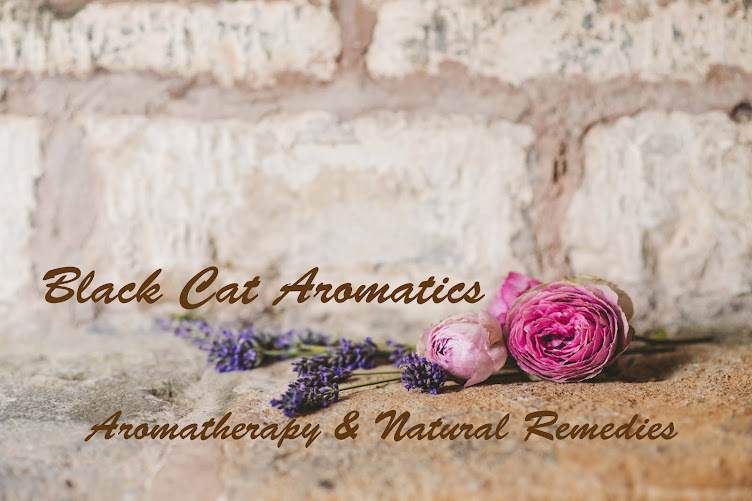 For general basic safety on using essential oils, scroll to the bottom of this article and click the link to a recent blog post. 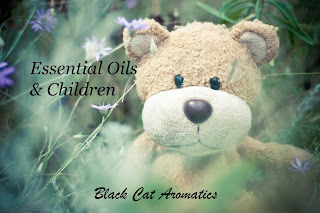 Using essential oils on children under the age of 5 years is generally not recommended. There are some instances where that guideline can be set aside- with caution, of course. In the case of a bee sting or a small scrape or bruise, a drop or two of essential oil blended into a carrier oil is fine. Since babies and young children's bodies are so sensitive, using only carrier oils and hydrosols is usually sufficient to allow their small bodies to heal themselves. Too much essential oil can cause an adverse reaction. After all, everything that we put in and on our bodies has to be filtered out by the liver. It's best to not put that extra work on our children's bodies. Hydrosols are the aromatic waters collected after the distillation process. When an oil is distilled, steam is forced through a container holding the plant material. The plant cells burst, releasing the essential oils. The steam and the oil molecules are cooled resulting in the steam turning to water. These liquids are collected in a flask where the oil floats to the top of the water. The essential oil is made of the fat soluble components of the plant material and the hydrosol is made of the water soluble parts of the plant material. Hydrosols contain many of the same therapeutic benefits as essential oils, however they are much more gentle. Since hydrosols are so gentle, they can be used without diluting them and are healing to many skin irritations and abrasions. Their shelf life is approximately 6 months to 2 years and I like to store mine in the refrigerator to help extend their shelf life as long as possible. Using essential oils on infants and toddlers is not recommended. Carrier oils and butters, aloe vera gel and hydrosols are recommended instead. If an infant or small child has a cold or stuffy nose, it is safe to diffuse an essential oil such as Cedarwood. The suggested practice for this is to run the diffuser for approximately 15-20 minutes without the child in the room, turn the diffuser off and then bring the child into the room. Another option is to have the parent or caregiver place a drop of the essential oil onto a cloth that is then draped over their own shoulder while they're holding the baby. A third option is to mix a drop or 2 of essential oil into an ounce of carrier oil (ie: Jojoba Wax) or lotion and then the parent rubs that onto their own back or shoulder and the baby will be able to benefit from inhaling the oils while they're being held. Hydrosols are a much safer option than essential oils for use on infants and children. They are much more gentle and easy to use. Generally, they are packaged in a spray mist bottle which makes for convenient and quick use. They can be used to treat many skin irritations such as diaper rash, baby acne, minor scrapes from little ones taking a tumble, etc. A few hydrosols to keep on hand are- Calendula, German Chamomile, and Lavender. You can use these hydrosols on their own or try combining equal parts of all three to make an even more therapeutic blend to use on infants and toddlers. When using an electric diffuser with this age range, it is safe to diffuse oils while the child is in the room. However, it is recommended that the diffuser is used intermittently, not run for several hours at a time. Try turning the diffuser on for about 30 minutes and then off for about an hour, then on again for about 30 minutes and so on. If you're using a diffuser in the child's room at bedtime, turn the diffuser on for about 30 minutes before bedtime. Then turn it off. Another option for children closer to about 5 years of age, is to allow them to use aromatherapy nasal inhalers made specifically for them. Whether it be for a cold or allergies, anxiety, to help feel calm, etc, aromatherapy inhalers can be useful and comforting for children. They're small enough to fit in their pocket and can easily travel wherever your child goes. While carrier oils, butters and creams are still a great option to use with this age group, when needed a few essential oils can be used with caution. It is recommended that a 1% dilution be used for children. That's only 5-6 drops of essential oil in 1 ounce of carrier oil. It's also a great idea to start with just using 1-2 drops of essential oil in 1 ounce of carrier to begin with and see how that helps the situation. Again, less is more! I still recommend using the same intermittent cycle while diffusing essential oils with this age range. If you're using a diffuser at bedtime, turn it on for only 30 minutes when the child goes to bed. Then turn it off. It doesn't need to run for several hours at a time to be beneficial. Carrier oils, butters, creams, aloe vera gel and hydrosols are still great options for this age range as well. Just because they are getting a little older, it doesn't mean we should throw caution to the wind and dab essential oils on every little bump or inhale them for each little sniffle. Less is always best to begin with. Peppermint (Mentha x piperita)- Use with caution and only on children over 5 years of age. Do Not use these essential oils on or around infants and children under 12 years of age unless otherwise indicated This is not a comprehensive list. For general, basic safety on using essential oils, read (this) blog post. It is excellent information for anyone new to using essential oils as well as a great refresher for those who have used essential oils for some time.